The new diagnosis and therapy concept for the peripheral nerves by Jean-Pierre Barral and Alain Croibier is introduced for the first time in this book. Disorders of the plexus and nerves which cause dysfunctions are described in a practical and detailed way from anatomic, physiological and pathological points of view. Examination and treatment techniques are described step by step and clarified with a multitude of photographs and illustrations. 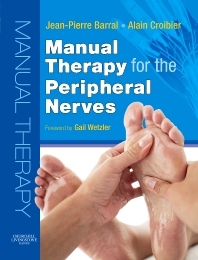 This book offers all osteopaths and other manual therapists the perfect guide to putting this new therapy concept into practice.